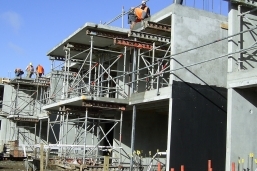 Over the years our cranes and installation teams have erected tens of thousands of precast concrete walls in all manner of buildings and structures. Houses, apartments, factories, swimming pools, water reservoirs, toilet blocks, stadiums and gymnasiums. You name it we’ve done it. Precast suspended floor units such as double tee’s, hollowcore, solid beams, shell beams, flat slabs and ribs are no problem for us. We have installed over 1 million square metres to date, and counting. Balcony units are common in lots of structures these days, no problem for us to install. 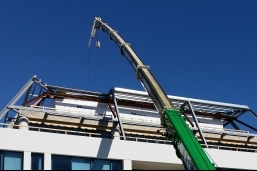 Many of our cranes are capable of achieving heights of 80m or more - great for lifting air conditioning units, roofing etc.